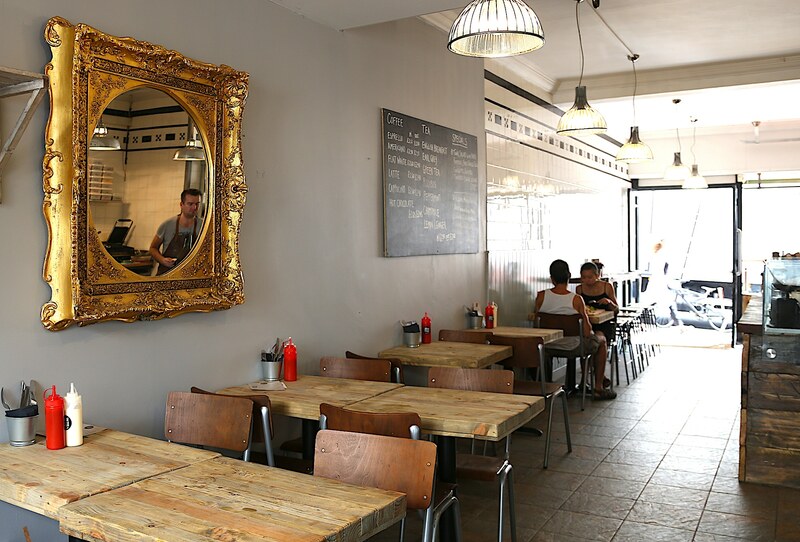 St James’ Street, Kemp Town, has long been the unofficial ‘cafe culture’ centre of the city, new to its colourful streets in the summer of 2018 is Social Board Brighton, delivering a lunch time serving that’s hard to beat for the street. 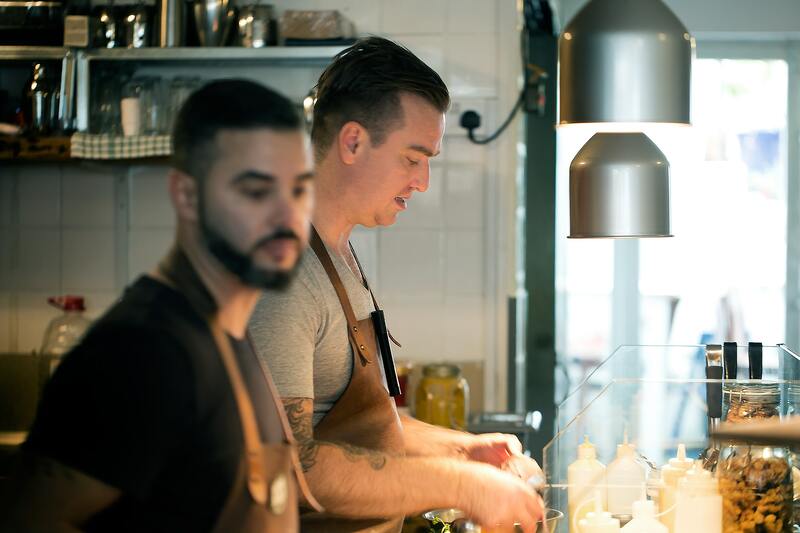 Owners Tomasz and Atilla both come from a long history of working in some top restaurants, most notably Tomasz was head chef at Food For Friends for five years. 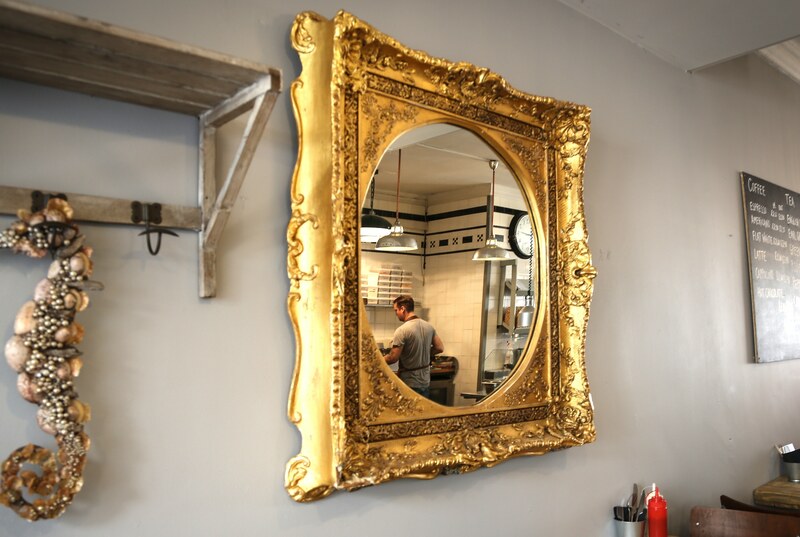 Together they have poured years of expertise in creating acclaimed dishes into a selection of outstanding sandwiches and salads. 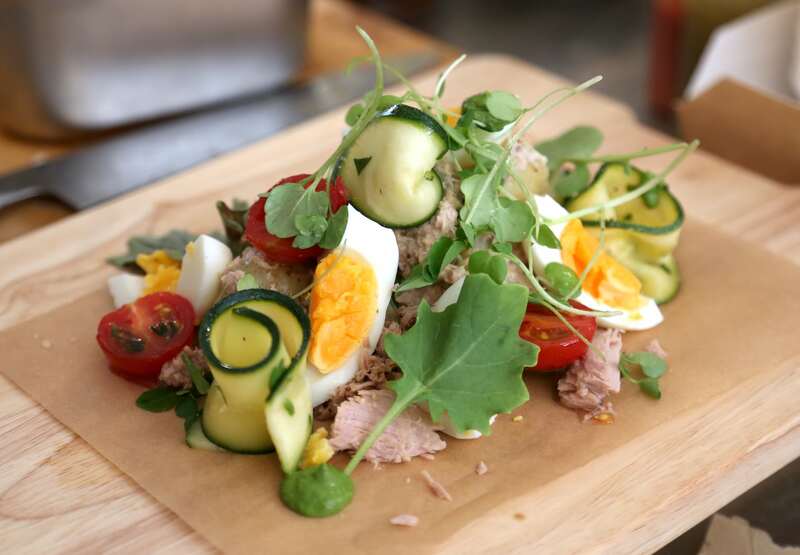 Lunch may never need be dull again with Social Board Brighton. 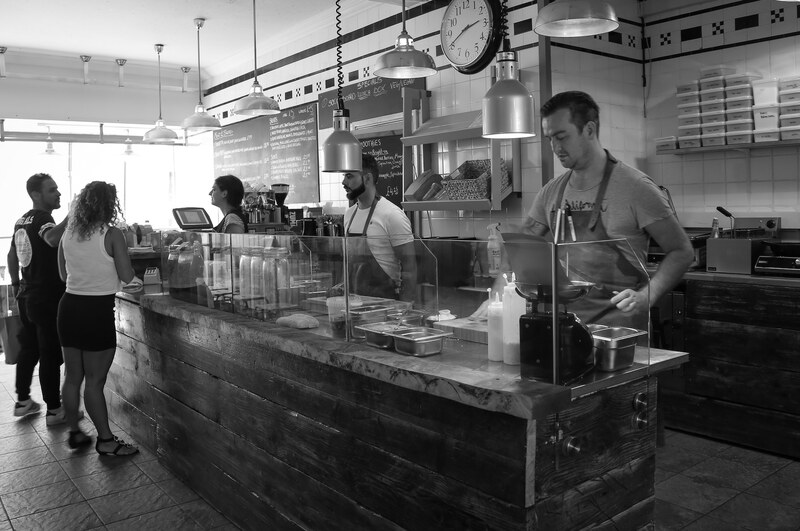 The team at Social Board Brighton have worked to create a strong modern looking eatery, with recycled timber featuring throughout with eat in sandwiches being served on wooden platters. Additional outdoor seating is available both street side and in the small sun trap garden at the rear. 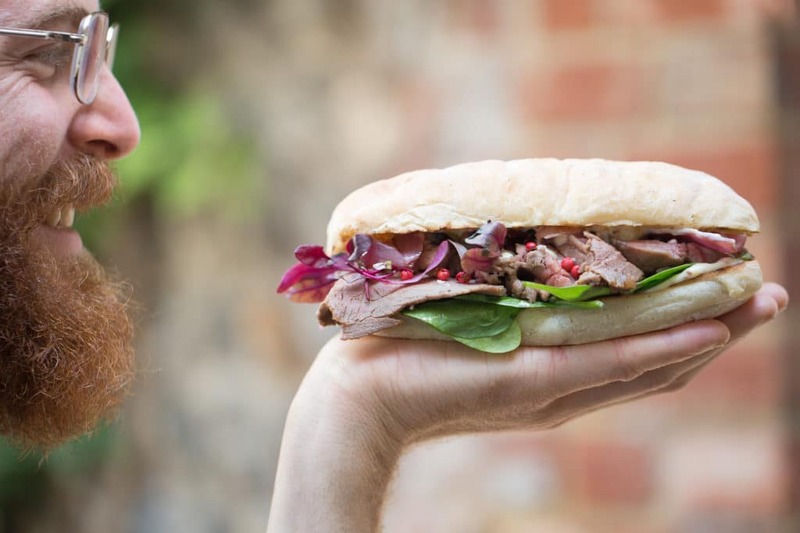 Local suppliers are key to the business, with meat from Steyning Butchers, cakes by Coburn Bakery in Hove and bread from Brighton’s celebrated Flour Pot Bakery. 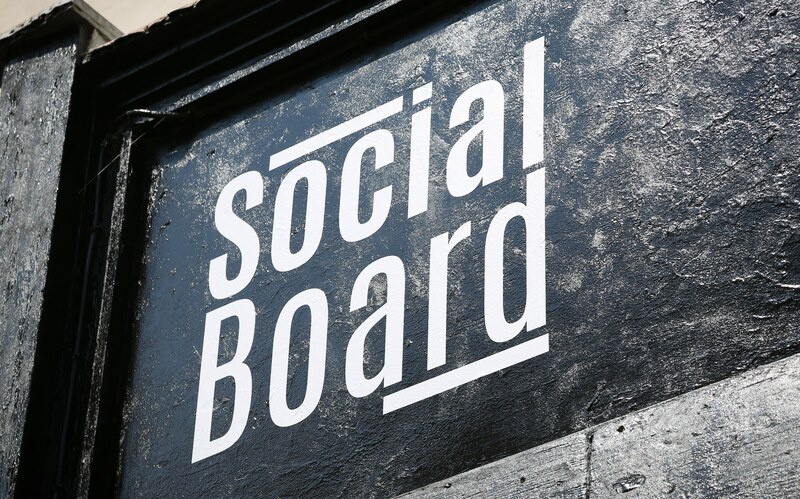 The main event at Social Board Brighton is the “Meat and Bread Board” which features their signature sandwiches, a compact list of one of each: beef, pork, lamb, chicken and plant. 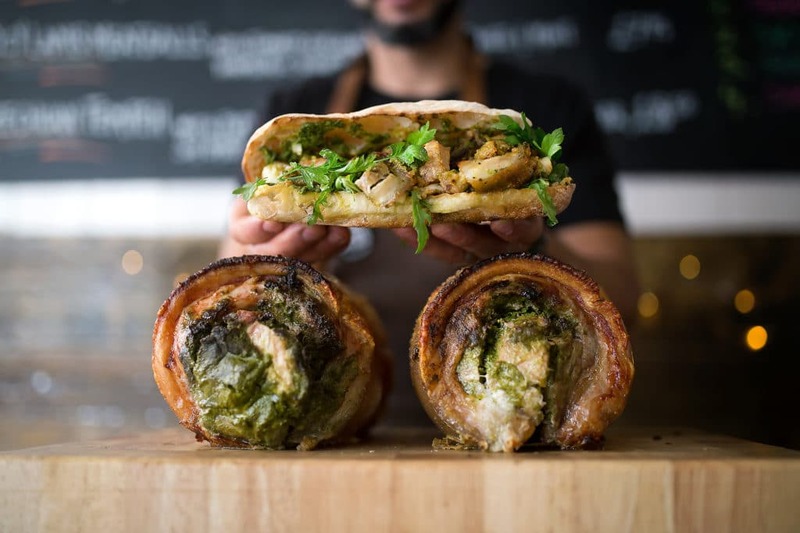 For those reticent about the limited choice there really is no need for concern, each offering is a meticulously thought out combination of ingredients that delivers a restaurant quality experience in a sandwich. What there lacks in breadth of choice is more than compensated for in depth of flavour. 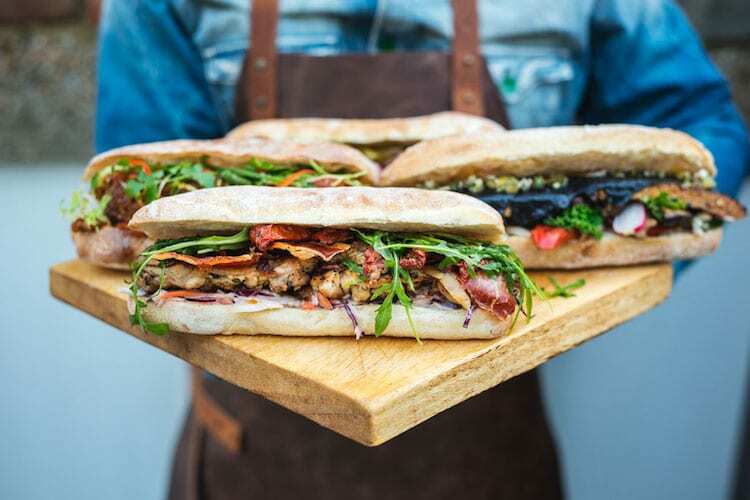 The five signature sandwiches are each prepared with the key ingredients being marinaded for days prior to give deep satisfying flavours such as the chicken with Cajun spice with lemon thyme and caramelised onion. 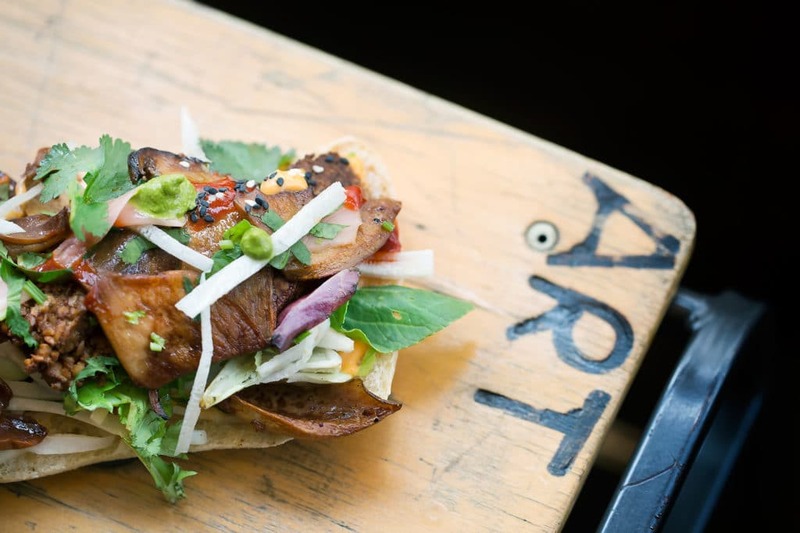 Drawing on and celebrating the best of Middle Eastern, European and Asian flavours, each sandwich is a taste explosion. Salads too receive some serious and exciting treatment, lifting them up from the crowd with the flavours of world cuisine. 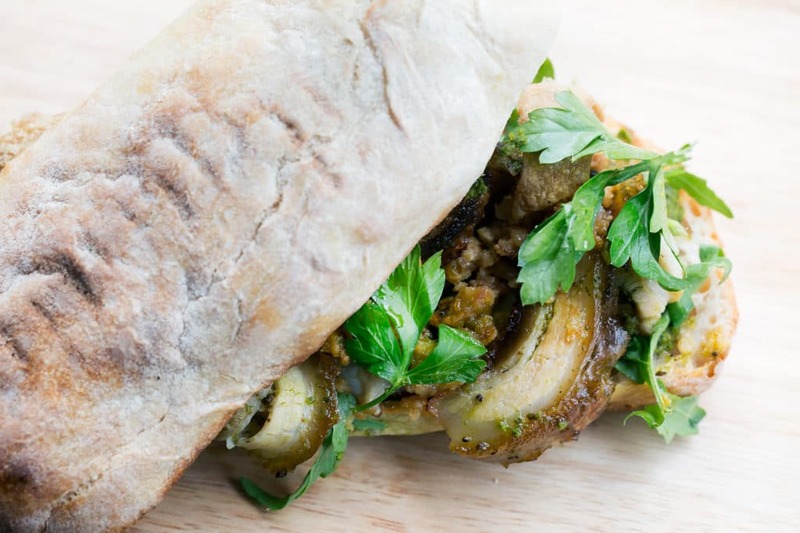 A large salad or sandwich alone is a generous proportioned lunch that will leave you more than satisfied, but inventive sides may have you loosening your belt as greed overtakes need and expect the likes of smoked paprika aubergine fries to tip the balance in favour of curiosity over will power. Price wise a degree of change of perspective is needed to make it palatable, this is convenient, great quality food, not fast food. It’s not a £5 meal deal, and thankfully it doesn’t taste like it, but if flavour is what you value then Social Board Brighton represents excellent value for money. 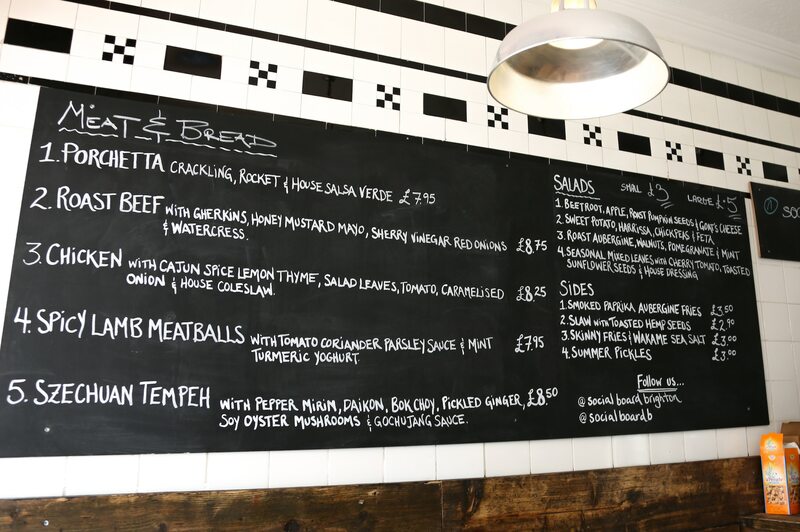 All available as eat in or take away, Social Board Brighton is perfect for picking up in a busy lunch break for a lunch that will make the rest of your working day a joy, or for taking to the beach as an impromptu picnic – sorry seagulls, this is too good for you. 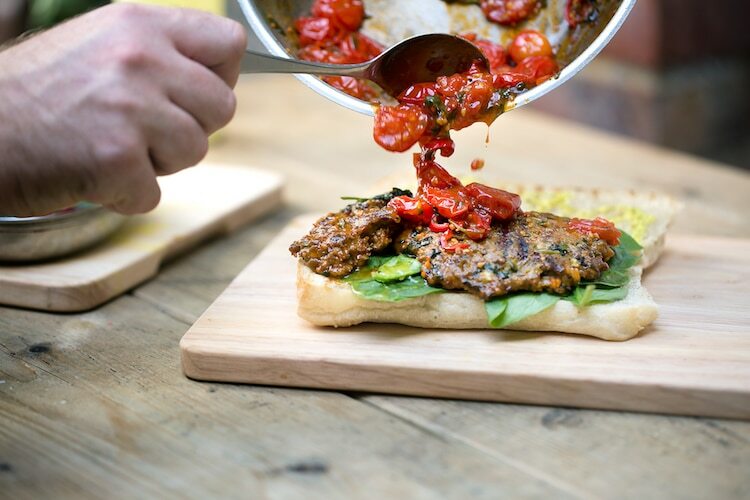 Not a sandwich to be taken lightly, this is a top restaurant quality experience between two slices of bread. Vegan option was Szechuan tofu in lovely Asian influence marinade with pickles and oyster mushrooms. Messy as hell and a just as tasty. NEW! Outstanding outstanding outstanding. Incredible food and every mouthful was just oozing with flavour. The new go to place on St James Street with a very friendly atmosphere. Would highly recommend if you appreciate quality ingredients with lots of care and attention with their delivery.